Congratulations! Your client finally closed on their home! After all of that work, it’s time to deposit your commission check and call it a day. Your relationship with that particular client is done, right? The second your client closes, they shoot right back up to the top of the sales funnel. Your piping hot lead has just become a cold lead. Follow these easy action items, and these clients will be warm leads that are ready to work with you when it comes time to move again. 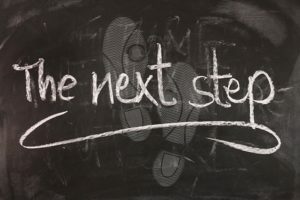 The first step is to go into DaknoAdmin and change your client’s status to “converted.” This will notify both you and DaknoAdmin that this is a client you’ve already successfully done business with. That way, when you want to send a message out to all former clients, you can filter by who’s converted in order to reach out. You might not have the time to follow up with all of these clients personally, so that’s where email marketing comes in! Write an email marketing followup campaign that will do the reaching out for you. Reaching out every month or so is a great way to keep your relationship with your client going. Adding your closed clients to these campaigns will save you a ton of time on your followup and ensure that your clients keep you in mind. 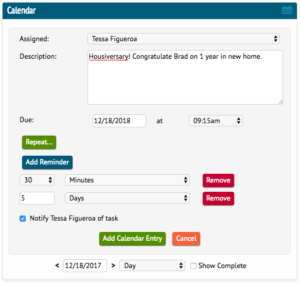 With DaknoAdmin, you can go in and add recurring calendar reminders to have you reach out to past clients on holidays and milestones in their lives. 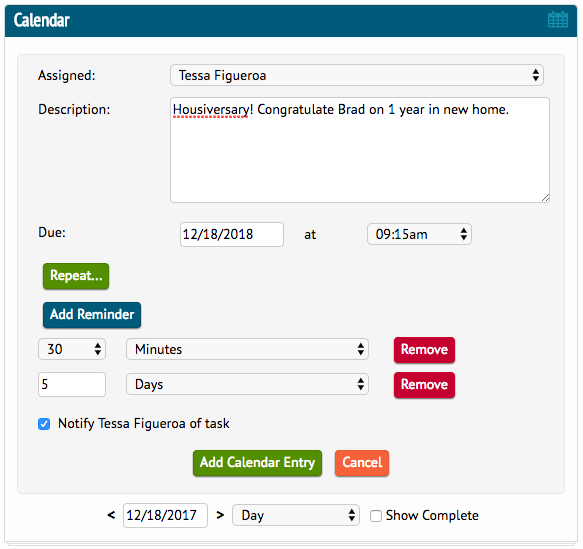 Just select your client in DaknoAdmin and scroll down to where it says “Calendar.” You can add in special dates such as house-iversaries (the date they bought their house), birthdays, or anniversaries. When you get the alert about their house-iversary, send them a personal email or greeting card. This will help foster a continued relationship, so that when they’re ready to buy their next home, they’ll think of you first! 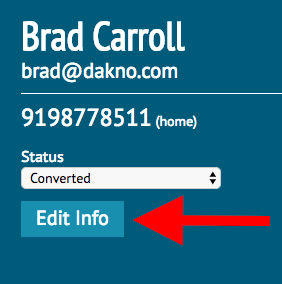 In DaknoAdmin, if you choose a contact and select “Edit Info,” you’ll see a big box for “Contact Notes.” I’d recommend adding information about this client that you won’t want to forget! Make sure to use this information to make your followup more personal. For instance, you can strike up a conversation with this person by sending them listings of Tudor homes you think they’ll like or by talking about the game! By following these steps, you’ll be setting yourself up for success with your closed clients. You’ll be keeping yourself top of mind, so that when it comes time to buy their next home, they’ll turn to you right away. Of course, if you’re looking for additional marketing expertise and guidance, talk with your account manager about marketing strategies that will increase your business. Not on a marketing package? Contact any member of our sales team to learn more!